EXTRA SHARP DEEP IMPACT BLUE 2016 FUSION TITANIUM, READY FOR YOU TO ENJOY. THIS LOCAL NEW FORD TRADE HAS BEEN WELL CARED FOR AND FEATURES THE EQUIPMENT YOU WANT, LIKE HEATED LEATHER SEATS, 2.0L ECOBOOST ENGINE, POWER EVERYTHING, REAR CAMERA, REMOTE START, AND 18' POLISHED ALUMINUM WHEELS. ALSO INCLUDES OUR EXCLUSIVE HEARTLAND FORD LIMITED LIFETIME POWERTRAIN WARRANTY FOR YOUR LIFETIME OF WORRY FREE OWNERSHIP. 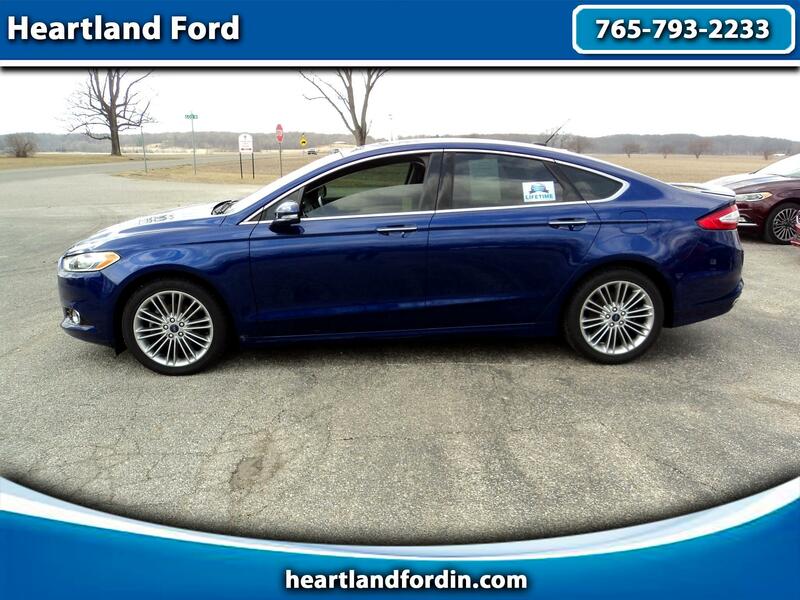 STOP IN TODAY AND TEST DRIVE THIS BEAUTIFUL FUSION.